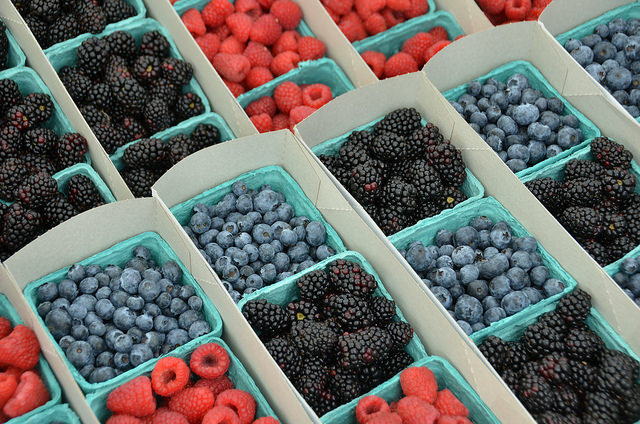 Heading to the Portsmouth Olde Towne Farmers Market this weekend? Just look for the white tents surrounding the Portsmouth Art & Cultural Center. Or you could just follow your nose! After all, this farmers market, which takes place every Saturday, features aromatic goods such as fresh-baked bread and pastries, artisanal coffee, and seasonal flowers. Portsmouth Olde Towne Farmers Market only selects local vendors, so you can expect to fill your shopping tote with heirloom produce, creamy dairy and cheese, free-range eggs, and meats at their peak of freshness. Many vendors promise their wares to be hormone- and chemical-free, as well. Handmade soap, potted herbs, jarred jellies and honeys, and an array of other gifts are available. Located not too far from Portsmouth, the Portsmouth Olde Towne Farmers Market takes place 9 a.m. to 1 p.m. on Saturdays between May 2 and Oct. 31. From Nov. 7 through Dec. 19, the market is open 10 a.m. to 1 p.m. on Saturdays.